Glass Design Solutions LTD is an award winning, glass specialist based in Elland, West Yorkshire. We are at the forefront of innovation in glass design solutions and we are always one step ahead of our competitors and industry standards. Our highly skilled craftsmen have decades of experience in designing, working with, and installing glass. We are passionate about supplying or creating exactly what our customers are looking for – whatever that might be. We pride ourselves on excellent customer service and it’s one of the many reasons that our customers tell us that they keeping coming back. We’ll go that extra mile for you and we’ll enjoy doing it. We’ll keep you informed at every stage, and we’re always on hand to answer any questions that you might have. No matter what you may have in mind we are here to meet your needs. Owners Lee Wheatcroft and Clive Smith love a challenge, they especially love working with complicated designs and solving design problems. Obsessed with attention to detail, they’ll put the extra work in to get things meticulously right, first time. Occasionally, it might be that the direct manufacturer of a certain product can supply it to you cheaper than we can – if this is the case we’ll let you know. We’d prefer for you to get the best possible price and come back to us next time. This is how transparent we are, and how we’ve grown our business from strength to strength, based on honesty and integrity. We genuinely care about the quality of products and services that you receive and that’s the reason that we also now process all of the glass here on site, in our state-of-the-art factory. 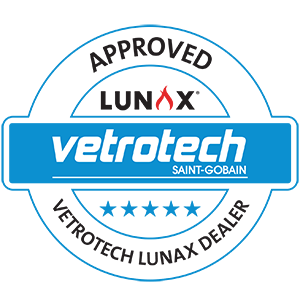 This ensures that we can provide you with the finest quality products, within the quickest time possible. This is a very exciting new part of our business and we are looking forward to leading the way in glass processing techniques. To delight our customers by offering a value added service that exceeds their expectations in all aspects of quality and service. 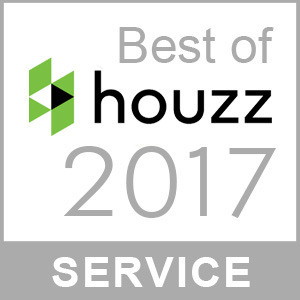 We’re extremely proud to have received The Houzz Award for customer service in 2017. This is a very meaningful award to us and reassures us that we are achieving what we set out to do. We will continue to strive to deliver these high levels of care and attention to all of our customers.